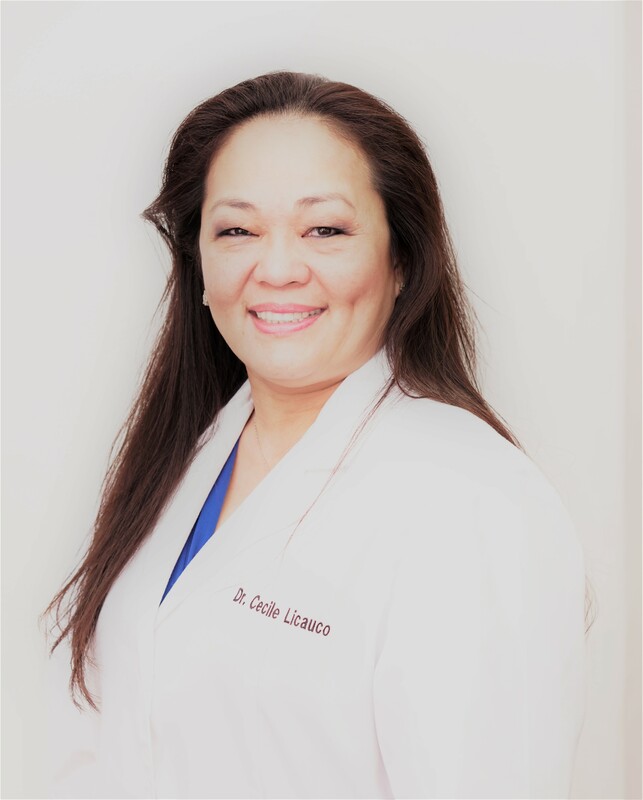 Dr. Cecile Licauco, better known to her patients as Dr. L, has been a dentist since 1987. You will feel comfortable knowing that you are in the hands of a gentle, caring dentist you can trust. When she decided to become a dentist, she set her purpose to help her patients achieve the highest levels of dental health with a sense of caring, comfort, kindness & personal service. Traditional values such as integrity, respect & honesty have been the foundation with which her practice has been built upon. A hallmark of Dr. L's practice is the amount of time she spends getting to know you & your goals for achieving dental health. "Skill and compassion go hand in hand when providing exceptional patient care. As a dental professional, I stay up to date on the latest advancements in dentistry in order to provide the most current treatment options for my patients. As a doctor, I recognize that my patients are unique individuals who have placed a great deal of trust in me and my team. That is just one reason why I value each and every patient relationship. I appreciate the time you’ve taken to visit this site and find out more about his our team, and the services we can provide to help you achieve optimum oral health."